Convoy S2+ 1000LM Cree XM L2 T6 - 4C 3 / 5 Modes LED Flashlight Torch ( 1 x 18650 Battery ) - RED T6-4C w cenie $13.99 | Chińskie kupony rabatowe, zniżki i okazje! 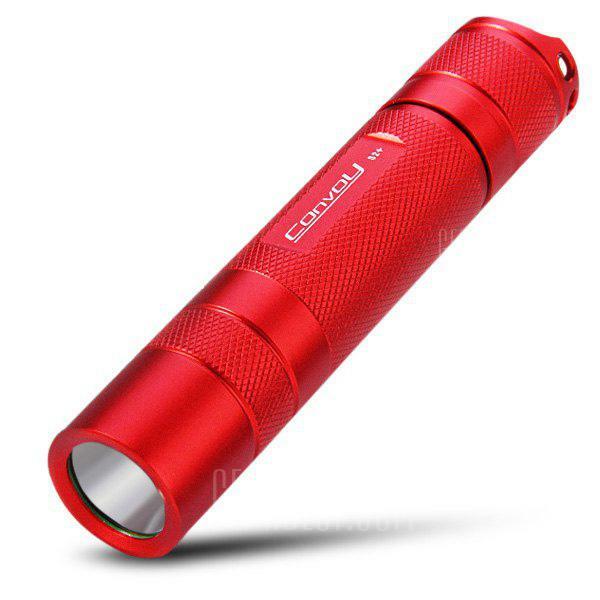 Convoy S2+ 1000LM Cree XM L2 T6 – 4C 3 / 5 Modes LED Flashlight Torch ( 1 x 18650 Battery ) – RED T6-4C! Teraz w promocyjnej cenie $13.99 Cena regularna to: $16.07, zaoszczędź i skorzystaj z kuponu na gearbest! Informacje o dostawie: Ship between: Feb 28 – Mar 02, Estimated Shipping Time: business days Order Processing Time may require a few days. Once dispatched from warehouse, Shipping (or Delivery) Time depends on the Shipping Method.